Photographs are supposed to make memories. In theory, that’s why cameras exist: to record moments and have those moments live on forever. A picture is supposed to show us an unquestionable reality, a deep-seated emotion, a frozen moment in time. The Polaroid, invented in 1948, stuck to this philosophy. With the click of a button, the camera ejected a frame, where a memory would develop as if out of thin air. Up until then, developing a photograph had been an laborious process. Now, it only took the click of a button, a blinding flash and a little mechanical whir for moments to become memories; for experience to become evidence. Instant film was revolutionary because of its capacity to fulfill the promises of photography—not only did it enable us to record moments, but in producing physical images in a matter of seconds, it transformed moments. With the Polaroid, the past wasn’t so distant anymore. It was instant. The Polaroid’s ease of use and sheer velocity of processing made people trust it. But it wasn’t just easy to use. With just one button, it was easy to understand. With the iconic frame and the uncertainty of light leaks, every image felt authentic, and every moment was worth looking at. Everything could be art, and anything could matter. It became easy for people to control their own image. In outstretching our arms and tilting the camera, we created the original selfie. Film was accessible. Attaining images suddenly didn’t involve the pressure of arduous amounts of development time. The Polaroid made photography about spontaneity and inclusivity. To live is to make memories. But in the age of smartphones, we don’t need Polaroids for memories. With the tap of a screen, we can freeze moments in time, and in seconds, we can save those moments, filter them, edit them, and virtually reshape them in less than seconds; faster than any generation ever could. Still, contemporary youth romanticizes, if not idolizes, the Polaroid. In 2008, the Polaroid Company filed for bankruptcy. From there on out, until early on in 2013, the Polaroid brand was maintained solely by a campaign called the Impossible Project, that sold instant film and refurbished old cameras at expensive prices. After nearly 10 years, during which the Polaroid was perpetually at risk of going extinct, the resurgence of the Fujifilm instant camera gave Polaroid a second wind. On September 13, 2017, the 80th anniversary of the founding of the Polaroid Company, the Impossible Project allowed for the resurgence of the Polaroid Company in itself. The brand, now dubbed Polaroid Originals, refurbishes old cameras, sells new Polaroid models and creates and sells instant film at newly accessible prices. In comes Ryan McGinley. Born in 1977, McGinley began making photographs in ‘98, a year after enrolling in Parsons School of Design for graphic design. While in college, he covered the walls of his East Village apartment with Polaroids of everyone who walked into his apartment. 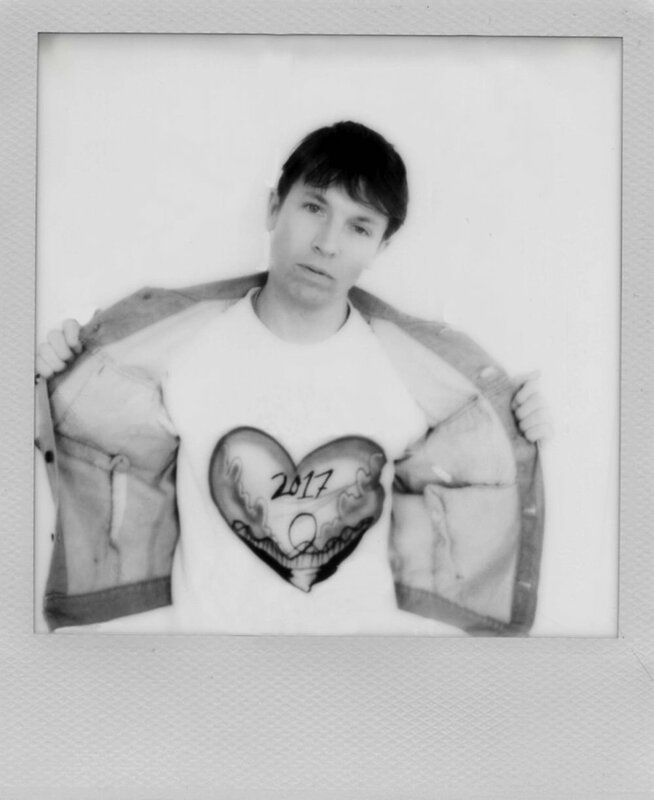 Between 1998 and 2003, he had more than 10,000 of these Polaroid portraits, which in February 2017 were displayed in the Museum of Contemporary Art Denver at an exhibit titled The Kids Were Alright. This exhibit was the continuation for his solo show at the Whitney Museum of American Art, that at the age of 25, made him one of the youngest solo exhibitors at the museum and catapulted his career into the spotlight. His art was new and refreshing in that it presented viewers with an unfiltered reality. The art is McGinley’s life. “I was so psychotically obsessed with documenting my life,” he said about his Polaroids, “All I wanted to do was make pictures of anything and everything.” Polaroid Originals’ website quotes him saying “For me, the Polaroid format is what opened the door for my photography and creating relationships with the people I photographed.” On McGinley for TIME, Jeffrey Kluger wrote, “Photography is about freezing a moment in time; McGinley's is about freezing a stage in a lifetime.” He made photography personal and nostalgic, just as the Polaroid did. By 2014, McGinley had been named Photographer of the Year by American Photo Magazine, awarded the Young Photographer Infinity Award by the International Center of Photography, and honored at the Young Collector’s Council Ball at the Guggenheim Museum. But why are we so infatuated with the Polaroid? Why is this contest so relevant in a time where Polaroids are supposed to be outdated? With digital photographs and smartphones, with Instagram, Snapchat, Afterlight, and Facebook, to name a few, we were given platforms on which we could create original images of moments, where we could manifest our notions of ourselves. But, with things like Photoshop and Facetune, we can now nip, tuck, reshape, and recolor any image. We can recreate ourselves and fabricate moments, painting them not for what they were, but for what we feel like they should have been. As a generation preoccupied with conformity, FOMO, and aesthetics, our newfound infatuation with the Polaroid could fulfill a need for what images rarely show us—what is authentic. The nostalgia induced by the blurred quality of the pictures, the ink stains, and the white frame make us long for an idealized time we don’t know, and allow us to feel authentic in ways we didn’t know possible. With this contest, Polaroid challenges us to use our pictures to be different. For a generation constantly bombarded with fabricated images, of pictures and social media pages where the majority is struggling just to fit in, Polaroids provide a chance for us to be original, and that might be more than enough.